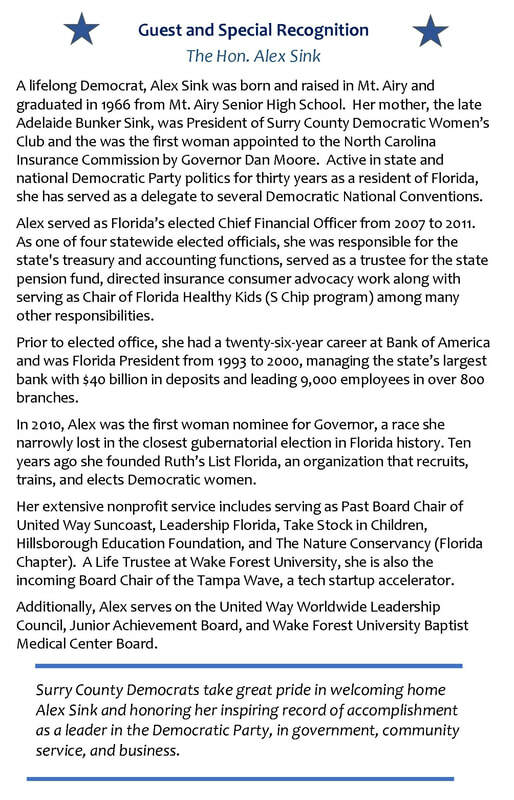 ​Special Guest Alex Sink, Mount Airy native, former Chief Financial Officer and candidate for Governor of Florida. 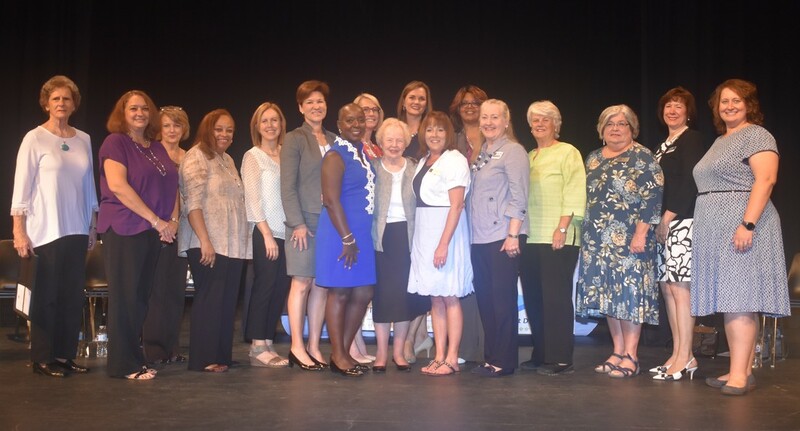 On September 20, it was inspirational to see the many women who have done their part to make Surry County a better community. This was the first time we have all stopped to thank the people who have and continue to lead in effective, practical ways. And it’s just starting. Coming soon - disaster for working people. ​Read here what to expect.